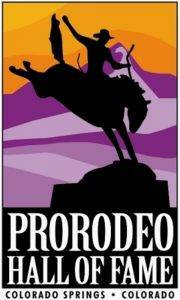 Enoch Walker, the 1960 Saddle Bronc Riding World Champion and National Finals Rodeo average winner, took to the skies in his ascent to ProRodeo fame – qualifying for 10 NFRs during his 20-year tenure with the Rodeo Cowboys Association. In 1960, the 28-year-old cowboy had been knocking on the door of a gold buckle for years, placing third in 1957, second in 1958, and third again in 1959. Walker entered the 1960 season with a plan for earning the gold buckle that literally took flight, as he was known for having a knack for pinpointing the highest-paying rodeos and then finding ways to compete in two, or even three, rodeos on the same day. He teamed up with Paul Templeton, who flew Walker from one rodeo to the next when his rodeo road trips got too hectic. 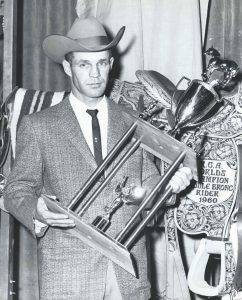 Walker arrived at the 1960 NFR in Dallas, Texas, leading the pack with $20,832 earned that season by placing 126 times at 56 rodeos and winning 21 rodeos throughout 1960, including Salinas, Calif., and Fort Worth, Texas. He rode all 10 horses at the NFR in Dallas, placing on five of them – winning the NFR average and the world title.